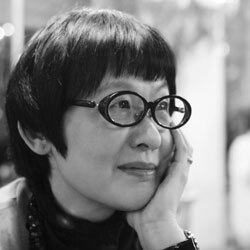 Don Mee Choi was born in Seoul, Korea, and is the author of Hardly War (2016), and The Morning News is Exciting (2010). She has received the 2011 Whiting Award for Poetry, a Lannan Literary Fellowship, and the 2012 Lucien Stryk Translation Prize. 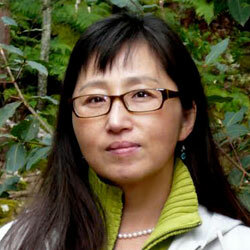 Kim Hyesoon, born in 1955, is one of the most prominent and influential contemporary poets of South Korea. She was the first female poet to receive the prestigious Kim Su-yong and Midang awards, and has been translated into Chinese, French, German, Japanese, Spanish, and Swedish. Her most recent books include I’m OK, I’m Pig! (2014), and Poor Love Machine (2016). 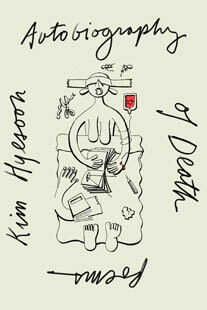 Have you read Autobiography of Death by Don Mee Choi, translated from the Korean by Kim Hyesoon? Add your comments to this page and let us know what you think.